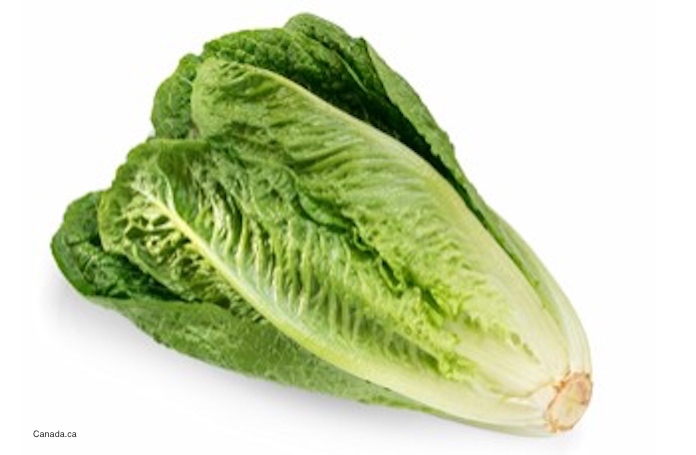 An ongoing E. coli O157:H7 outbreak that may be associated with romaine lettuce has sickened at least 17 people in the United States and 41 people in Canada. Both the CDC and the Public Health Agency of Canada have announced these outbreaks that may be related. In Canada, a link has been made to that type of leafy green, but officials in the United States are still investigating the source. Public health officials in this country are not releasing much information, beyond the case count by state and the fact that they are investigating the outbreak. In Canada, officials are recommending that people who live in five provinces avoid romaine lettuce, but no such recommendation has been made in the U.S. This is not the first time lettuce has been linked to a serious food poisoning outbreak. Leafy greens and bacterial pathogens are, unfortunately, a common combination, even though most people do not associate food poisoning with those products. A 2005 report from the CDC stated that “leafy greens are a significant source of foodborne illness outbreaks.” Another CDC study released in 2014 found that produce accounted for nearly half of all food poisoning illnesses in the United States from 1998 to 2008. Leafy vegetables accounted for the most illnesses. And that has been proven over the years. People have been sickened by the leafy green-pathogen combination in the past after buying contaminated product at grocery stores, and after eating produce at restaurants. In this current outbreak, patients are scattered across the country, which may indicate a common source early in the production chain, such as produce contaminated in the field or served at a chain restaurant. In 2016, a Listeria monocytogenes outbreak was linked to recalled Dole packaged salads. At least 33 people in the U.S. and Canada were sickened in that outbreak. That was the first time that a listeriosis outbreak was linked to leafy greens. In 2013, an E. coli O157:H7 outbreak was linked to ready-to-eat salads sickened 33 people in 4 states. Two ready-to-eat salads sold at Trader Joe’s stores were identified as the likely source of this outbreak. Glass Onion Catering voluntarily recalled many salads and sandwich wrap products after that outbreak was discovered. In 2012, an E. coli O157:H7 outbreak linked to organic spinach and spring mix blend sickened at least 33 people in 5 states. The pre-packaged leafy greens were produced by State Garden of Chelsea, Massachusetts. Most of the people sickened in that outbreak lived in New York. In late 2011 and early 2012, an E. coli O157:H7 outbreak linked to romaine lettuce sickened at least 58 people in 9 states. The lettuce was grown and distributed by Amazing Coachella in California. In 2010, a multistate E. coli O145 outbreak was linked to shredded romaine lettuce. At least 26 confirmed and 7 probable illnesses were linked to that outbreak. Three patients developed HUS and 12 were hospitalized. An E. coli O157:H7 infection can cause serious illness and death. One person in this outbreak who lived in Canada has died. This pathogen produces Shiga toxins that travel through the body and destroy red blood cells. The damaged cells can destroy the kidneys and cause strokes and seizures. If you are experiencing the symptoms of this illness, especially if you have recently eaten romaine lettuce, it’s important to see your doctor. If this infection is improperly treated with antibiotics, or if the patient is very young, a complication called hemolytic uremic syndrome (HUS) can develop that can be life-threatening. The symptoms of an E. coli infection include severe and painful abdominal and stomach cramps, diarrhea that may be bloody and/or watery, and a mild fever. The symptoms of HUS include little or no urine output, easy bruising, a skin rash, lethargy, pale skin, and bleeding from the nose or mouth. If you or a loved one have been sickened with an E. coli O157:H7 infection after eating romaine lettuce or leafy greens at home or at a restaurant, contact our experienced attorneys for help at 1-888-377-8900. The attorneys at Pritzker Hageman, America’s food safety law firm, successfully represents people harmed by adulterated food products in outbreaks throughout the country. Its lawyers have won hundreds of millions of dollars for survivors of foodborne illness in lawsuits, including the largest verdict in American history for a person harmed by E. coli and hemolytic uremic syndrome (HUS). 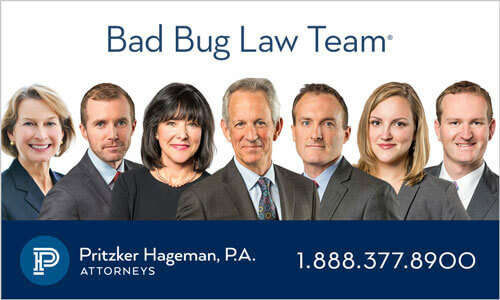 Pritzker Hageman lawyers are often interviewed by major news outlets including the Wall Street Journal, the New York Times, and CNN. The firm also represents people harmed by pathogenic microorganisms in Legionnaires‘ disease, surgical site infection and product liability lawsuits.